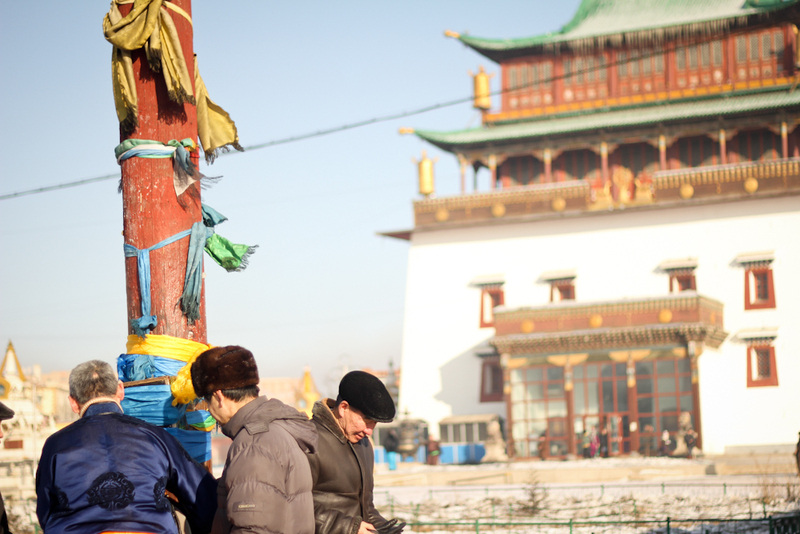 While Tsagaan Sar 2012 is officially over, the celebrations are continuing over the weekend. So while this post isn’t as prompt as I’d like, it’s not entirely late either. Tsagaan Sar means White Moon (or White Month). It is marks the first day of the new year according to the lunar calendar. While similar to Chinese New Year, the date is almost always different and the method of celebration is completely unique. 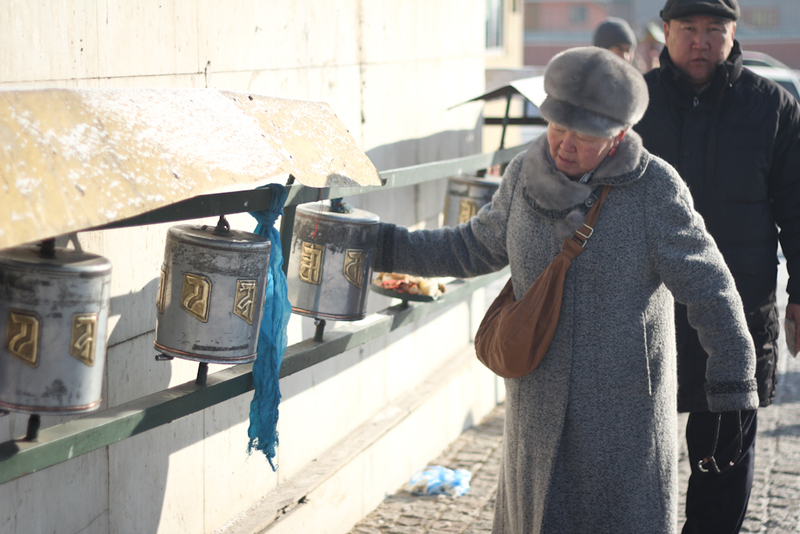 Mongolians mark the holiday with a visit to the Buddhist, temple where they pray for success and health in the coming year, performing various rituals at sunrise to welcome the new year, and visiting the homes of elders where they drink milk tea and vodka, eat dumplings and lamb and catch up. 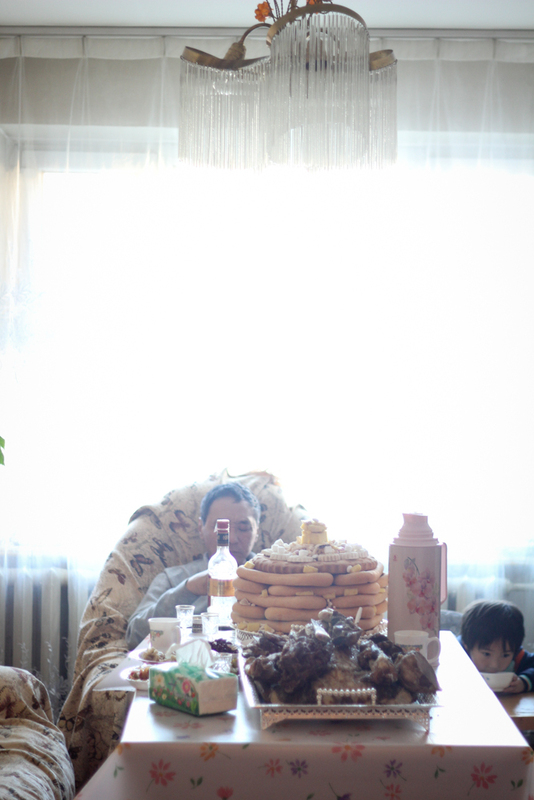 Tsagaan Sar Plate & Sheep: The two biggest Tsagaan Sar food requirements are a prominently placed sheep and Tsagaan Sar plate topped with biscuits. 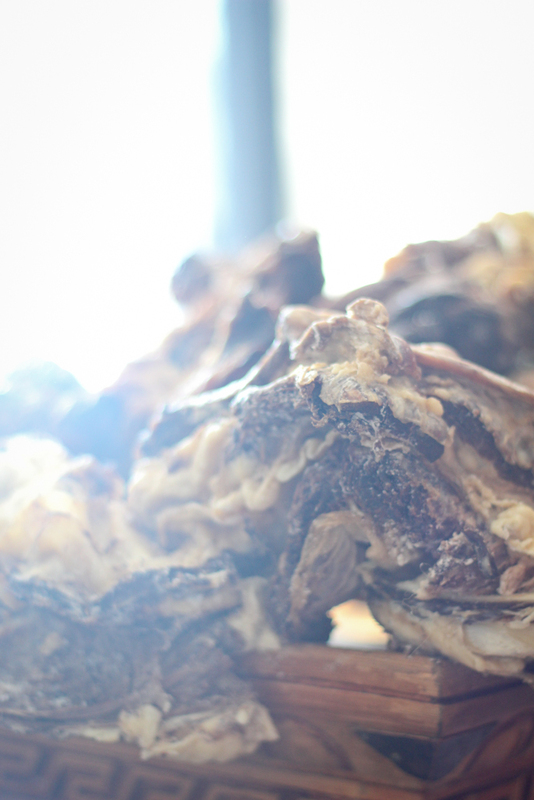 The sheep, which was cooked in the days leading up to Tsagaan Sar and served at room temperature, is placed on a special wooden stand with a single knife. 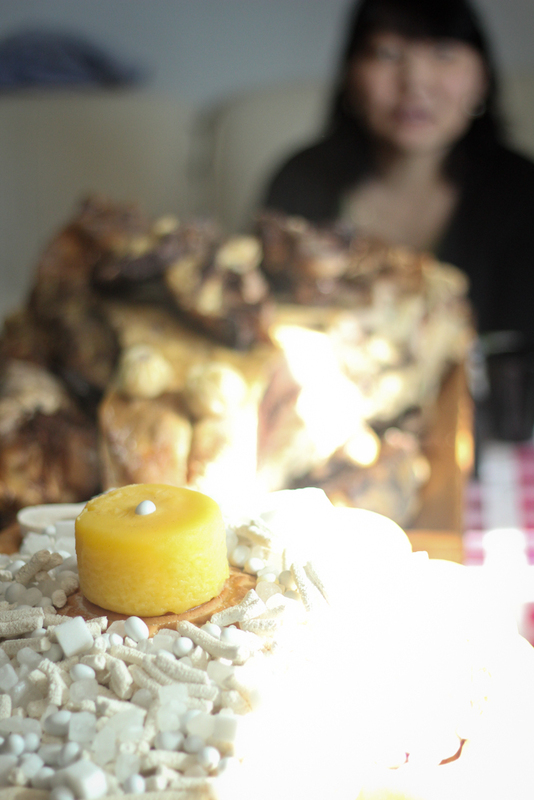 The host of each house will cut off pieces of meat and offer them to visitors throughout their stay. 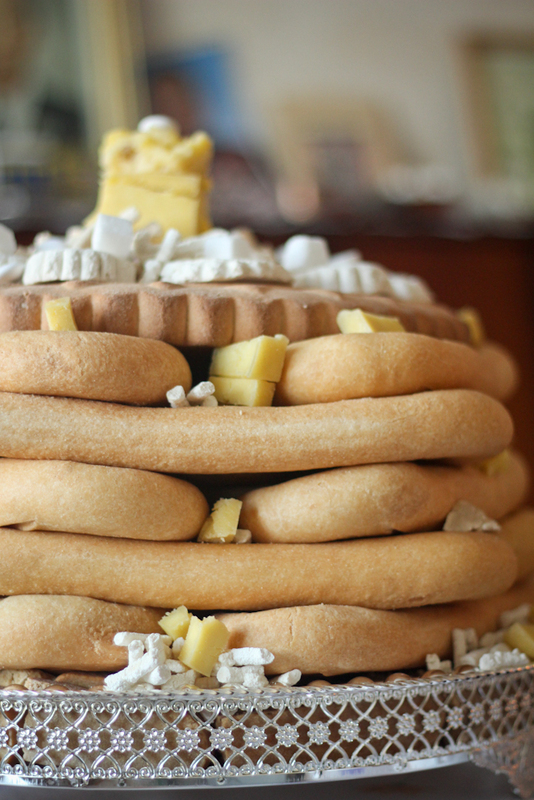 The tower of biscuits is the other prominent food item. There should always be an odd number of layers to the tower as the odd numbered layers represent happiness and the even numbered layers represent difficulty. Every year is filled with both, but one always hopes there is more happiness than difficulty. 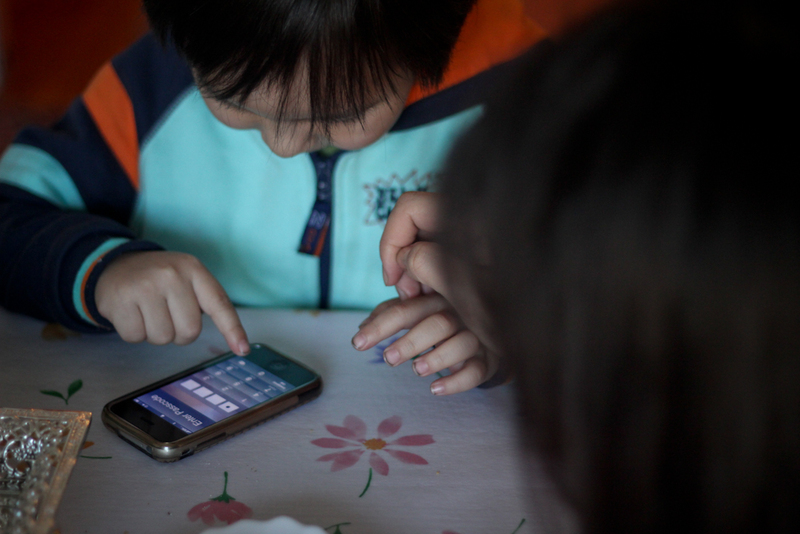 The number depends on the eldest family member’s age and importance. A young family might have only three layers, while an older or very prominent family might have as many as nine. Most of the families I visited had five or seven layers. On top of the biscuits are dried curds, sugar, candies and some yellow milk fat, which many herder families will save for months. 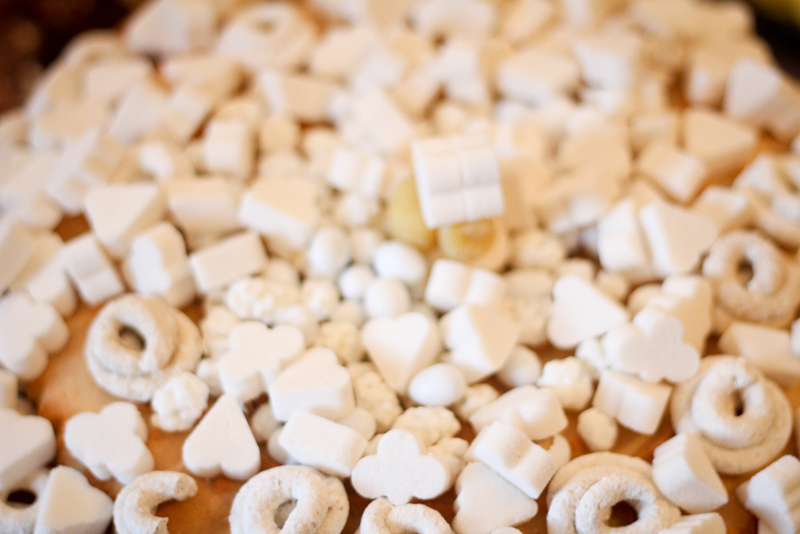 People are free to nibble on the candies throughout the holiday, but the biscuits are saved until the end. 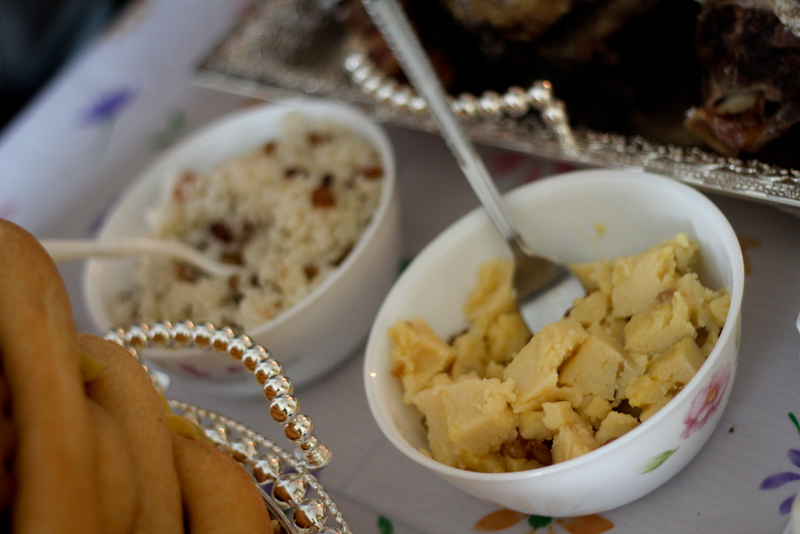 White Dishes: Before eating anything else, guests are offered a few white dishes – white rice mixed with raisins and a soft milk/buttery substance also mixed with raisins were two that I sampled. 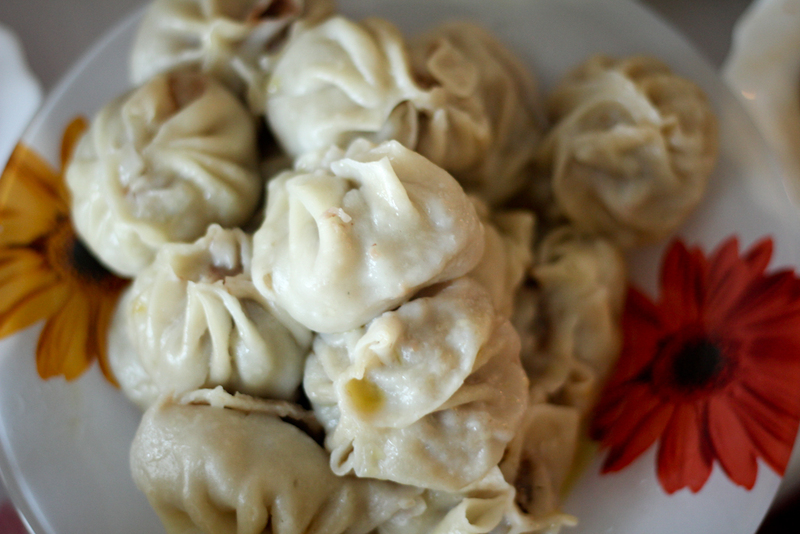 Buuz: In the days leading up to Tsagaan Sar, women will prepare as many as 1,000 buuz, meat dumplings, which they will serve throughout the holiday. When a guest arrives at a home, the hostess will steam a fresh batch of buuz to serve to the newcomers. Salads: In addition to buuz and meat, guests are offered a variety of salads. 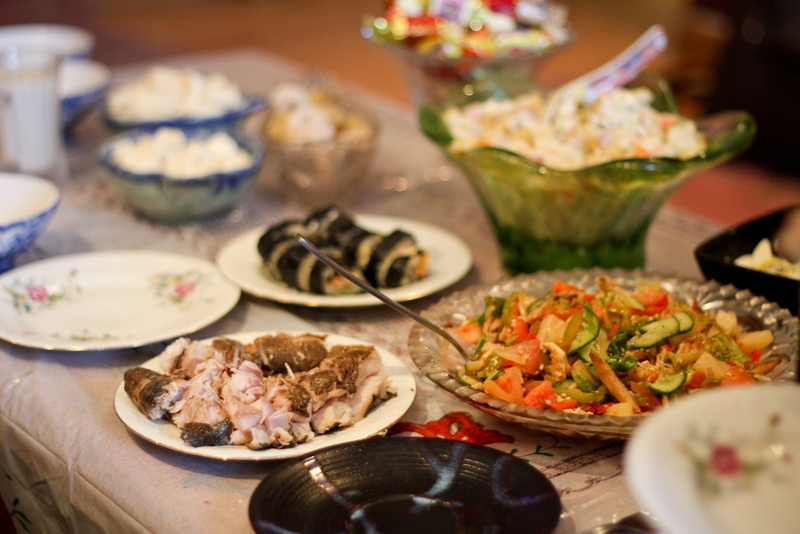 Most are favorites such as capital salad (potato salad with ham and pickles), cabbage and carrot salad, and pickled vegetables. Milk Tea: This traditional Mongolian beverage is the typically the fist thing offered when one visits a nomadic family anytime of year. 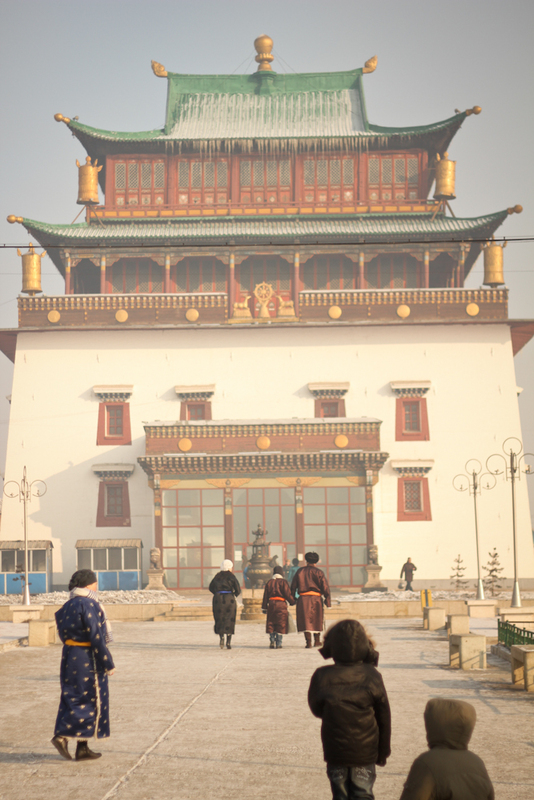 At Tsagaan Sar it is even more important. The salty drink is usually one third milk, two thirds tea, served warm in a small bowl. The distinct flavor, which might be difficult for westerners to appreciate at first, has a way of growing on you. 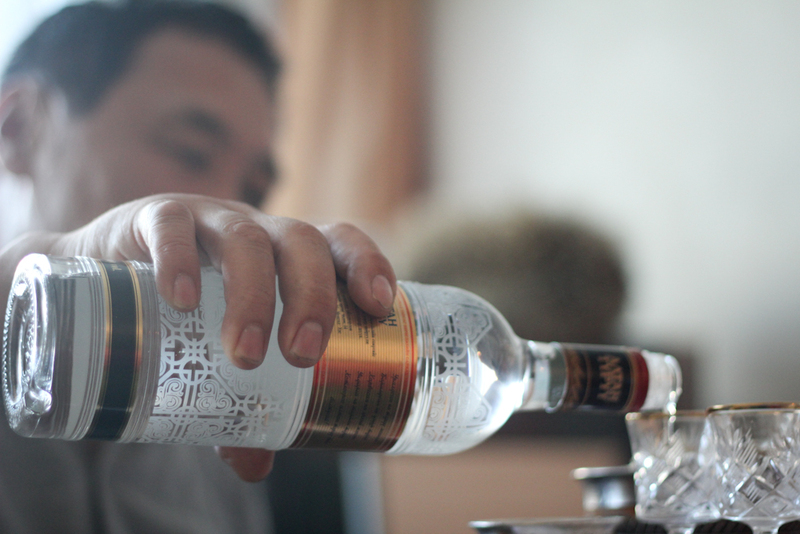 Vodka: Whether it’s one of the several Chinggis Khan brands, Absolute, or some cheap Russian bottle, toasting with vodka is a bit part of Tsagaan Sar. Visitors are supposed to have three shots with the host, although, women are allowed to just sip. 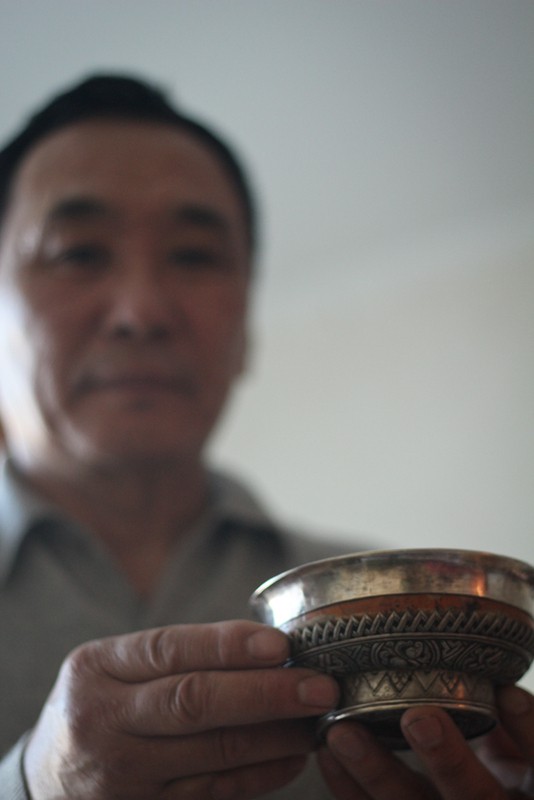 President Elbegdorj announced that he would be toasting with milk, rather than vodka, to protest Mongolia’s growing prevalence of alcoholism. One family I visited joined him in the effort, only serving vodka to visitors who were over forty. 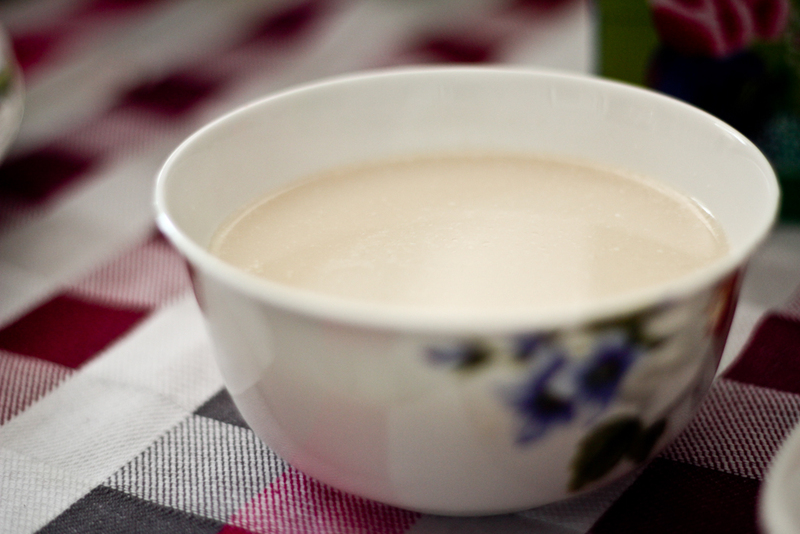 Airag: Fermented mare’s milk is one of Mongolia’s extra special drinks. The substance is thinner than milk, yet thicker than vodka, and has a taste that’s somewhere in between the two. To say it’s an acquired taste for foreigners is an understatement. I still remember my first sip of airag back in 2007. It’s very distinct. When visitors arrive at a new home, there is a specific way they must greet the hosts and other guests. Starting with the eldest male who is sitting at the head of the table or most prominent part of the ger, the guest must greet with arms outstretched and palms up. Sometimes the host will drape a blue scarf known as a khada gover his or her arms. The guest holds the hosts arms up then touches each cheek as if kissing. In reality, they are sniffing – scent is much more important here than in Western traditions. They say, “Amar baina uu?” which means, “Are you well rested?”. 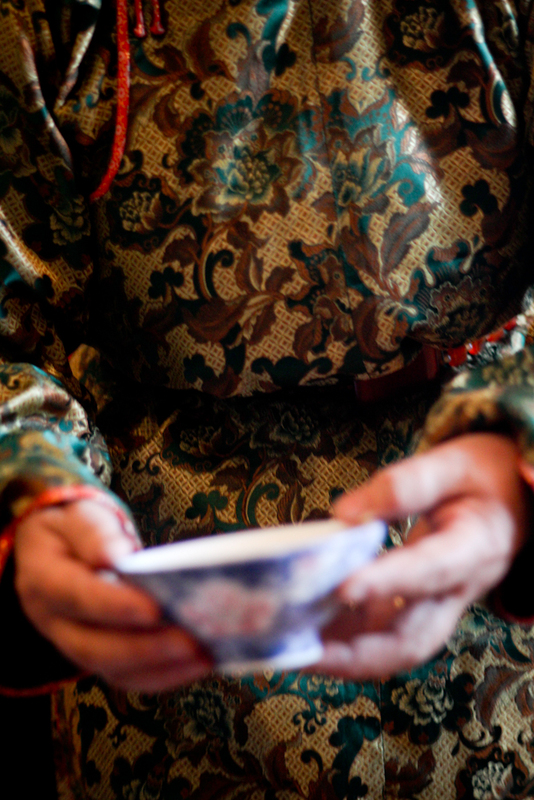 The guest will often offer money to the elders – usually just $5 or $10. After greeting the eldest, the guest will move down the line to the next eldest and so on. They tend to be sitting in order according to age. 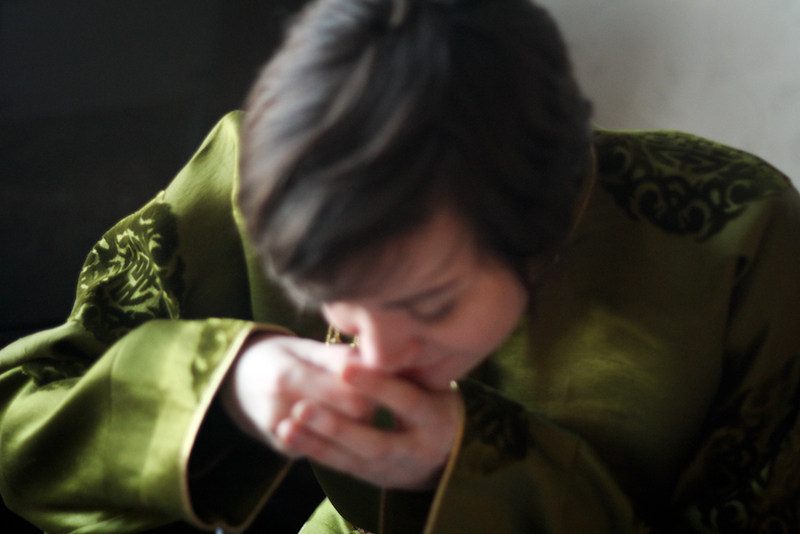 After the initial greeting is complete and everyone is seated, the host will offer khoorog, or snuff. 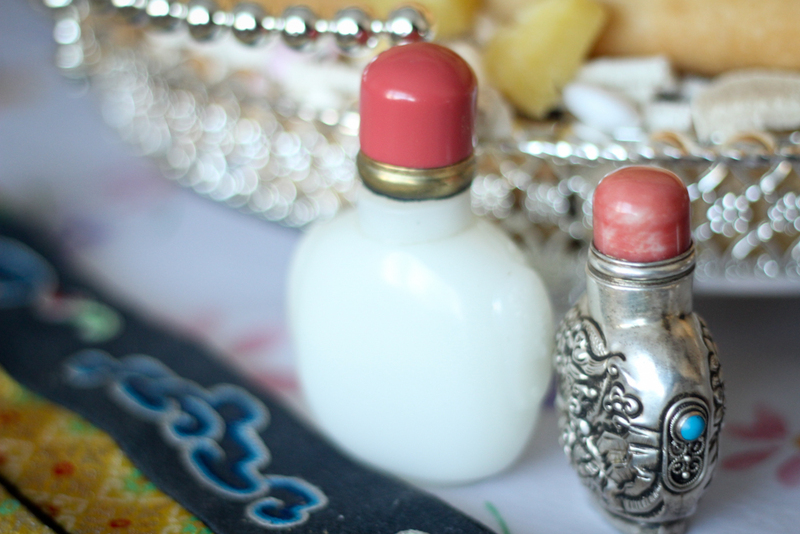 The bottles are usually made from precious stones and can cost as much as $1000. They will offer the bottle with their right hand, supporting their elbow with the left. The guest will accept the bottle in the same manner and either just sniff at the opened top, or put some snuff onto their hand and then inhale. While the snuff is being passed, people will ask a series of traditional questions related to nomadic life – How are the herds? Are your animals fat? One traditional phrase: “Daaga dalantai, byaruu bulchintai, sureg mal targan orov uu?”, translates as “Does your 2-year old horse have enough fat, does your 2-year old yak have enough muscle, did your animals survive the winter?” Then guests will be offered milk tea and the meal will commence. The final part of the ceremony is distribution of gifts. The host will give two small presents (it is important that there are two). If there is only one item, then they will include a small note worth about $1. Some of the presents I received were a chocolate rose, instant coffee, a chocolate bar, body wash, lotion, slippers, camel wool socks (!!! ), and tea. Others received undershirts or underwear, picture frames, and other small and useful items. 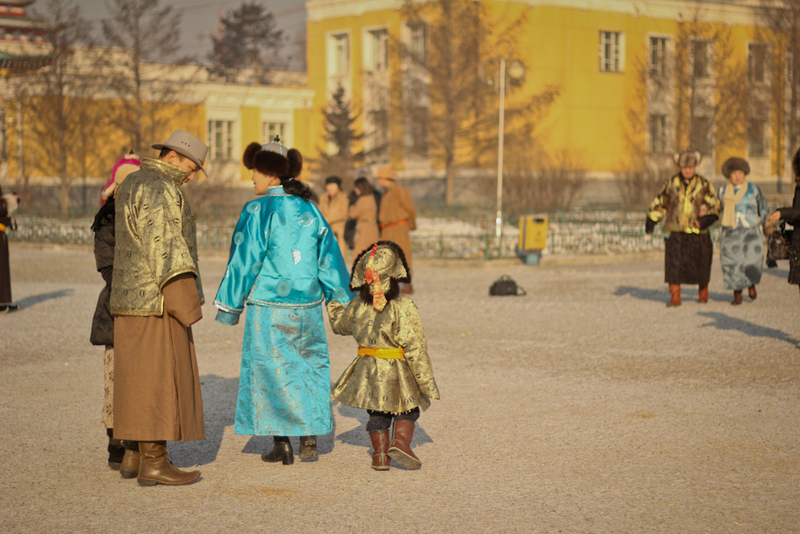 Although many of the traditions of Tsagaan Sar date back for thousands of years, they are altered with a shifting culture. 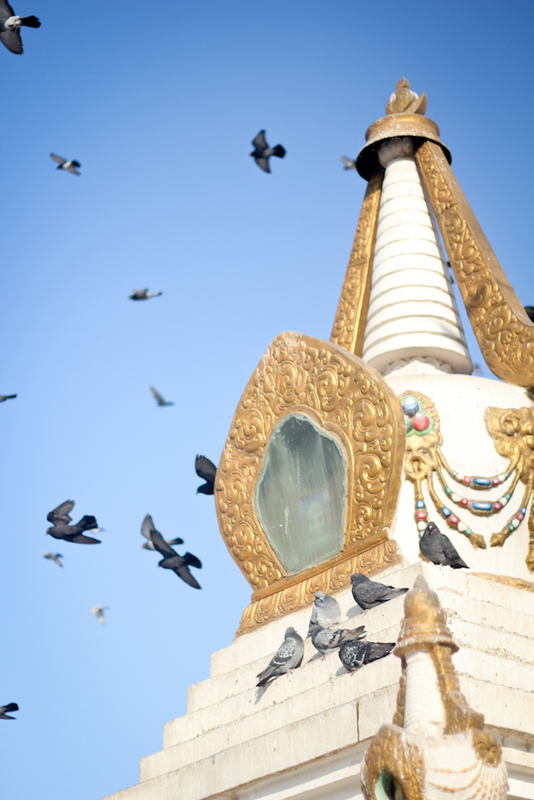 In Ulaanbaatar, a vibrant and quickly developing city, Tsagaan Sar as an undeniably modern quality. The gifts offered are one of the most obvious adaptations – soap from Switzerland, picture frames from Ikea. 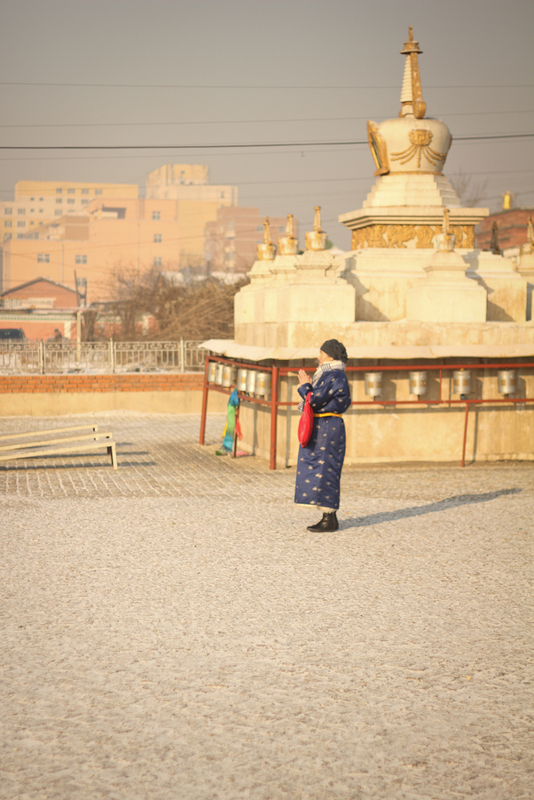 While elders and more conservative Mongolians still where the traditional deel, many others will simply where nice clothes, or even come wearing blue jeans. At one home I visited, I was offered vodka for my first toast. Then I was surprised to be served whiskey for the second. When I commented on how much I enjoy whiskey, the host told me it was a classy brand from Japan and poured me two more. Another hose offered sushi in addition to the traditional dishes. At yet another, the kids sat in the corner playing computer games for the entirety of my stay. Lauren, this is such a great post! I learned so much!! 🙂 As usual, I love the photos. The one of the little boy reaching for the sweets is adorable. How was the snuff? It stung… but that was only because they gave me way too much!